As federal departments and agencies rush to catch up with the data train, figuring out how to collect and store as much data as they can, they need to be thinking about what comes next: how to use it. As federal departments and agencies rush to catch up with the data train, figuring out how to collect and store as much data as they can, they need to be thinking about what comes next: how to use it. The amount of data agencies and organizations collect is growing exponentially. The complexity is growing too. Data is pulled from websites, news articles, social media, text messaging, emails and mobile apps in addition to that generated internally by organizations. Every platform is an opportunity to collect more data. As a result, federal departments and agencies are drowning in a sea of data yet thirsting for knowledge. Trying to discern knowledge from vast amounts of data possessed by the government is complicated by the fact that data scientists are relatively few, are highly valued in both the public and private sectors, and are the subjects of fierce competition for their services. 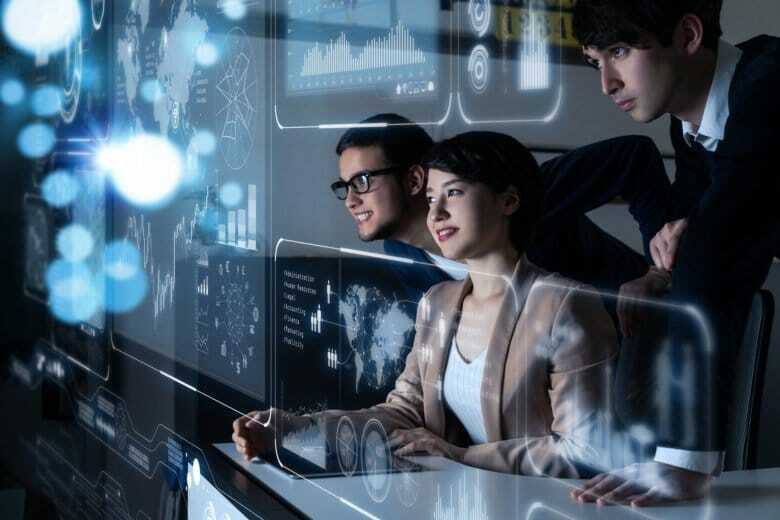 By not having data scientists on staff, departments and agencies are often left in the untenable position of having vast amounts of data yet too few ways to take advantage of it. The problem for most organizations is sifting through massive amounts of data to figure out what’s relevant. Most organizations use keyword indexes that let users review information by starting with what’s known. But this approach only takes an analyst so deep into the data; it’s easy to overlook something relevant if you don’t know it’s there. Brainspace digs through a million documents an hour. It literally reads them, pulls out rich terms, phrases, and data like names, places, social security numbers and birthdays. Brainspace then plots them in visualizations that show the relationships between these data points. For example, Rapp said a federal task force used Brainspace on a 12 million document research project. Brainspace was able to reduce the task force’s data by 40 percent, and uncovered data that the proprietary platform had overlooked. Another client Rapp worked with used Brainspace to scrape tweets about the company. Doing this, it was able to discover a cluster of negative sentiments originating in Yemen that it hadn’t noticed before, stemming from its work in Saudi Arabia. A Justice Department civilian agency uses Brainspace to sort through the petabyte of information it takes in every year searching for roughly 3 percent of data the agency actually finds most relevant. Quickly discovering knowledge from vast amounts of unstructured data without having to invest in costly and lengthy training or building expensive ontologies and architectures helps differentiates Brainspace from the other data discovery capabilities. The other area that makes Brainspace stand out is its focus on user experience. Algorithms and machine learning are very complex systems, and most artificial intelligence companies put all of their effort into those core analytics capabilities. Brainspace went another route, focusing on connecting the machine with the human operating it by layering a user interface over the top. The whole system was designed with the layman analyst or investigator in mind. Users don’t have to interact with the data directly, but instead can work with what the system presents to them in the form of easy-to-understand data visualizations and machine learning. That democratizes the data across an organization, lowering barriers to access while increasing potential use cases.